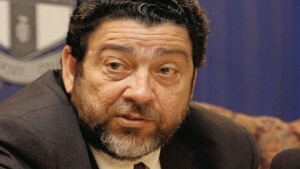 KINGSTOWN, St Vincent (CMC) — Prime Minister Dr Ralph Gonsalves says St Vincent and the Grenadines will oppose any military intervention of Venezuela by the United States in order to effect a regime change in that South American country. “Well, St Vincent and the Grenadines would be entirely opposed to an invasion for the simple reason Article 2, paragraph 4 of the Charter of the United Nations, makes it plain that you can’t threaten or use force against another country,” Gonsalves told a radio audience here. Gonsalves, who has had a close relationship with President Nicolas Maduro and his predecessor, the late Hugo Chavez in Venezuela, said that it is for this reason the United States President Donald Trump is not lobbying the Security Council in his efforts to secure regime change in Venezuela. The United States and its allies are pushing to remove President Maduro out of office in favour of the Opposition Leader Juan Guaido, who has since declared himself as the interim president of Venezuela. Caribbean Community (Caricom) has adopted a united position on the matter and last month the regional leaders, at their inter-sessional summit in St Kitts-Nevis, reiterated their position of non-interference in the internal affairs of Venezuela and said they were prepared to mediate in the process to bring about a peaceful resolution to the crisis. “In the same way that what saves us, you and me and others in this community, is not to have a strong and powerful man, more powerful than you and come and bully us and beat up on us and we have no recourse to law.